Can I add custom graphics to this item? How do I set that up? Yes! 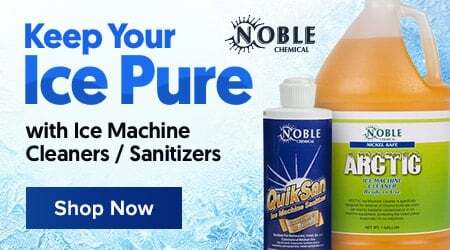 Products from this manufacturer can be ordered with custom graphics at an extra charge, with no graphics at no additional charge, or in some cases with the manufacturer's stock graphics. If none of these options is specified, items will be shipped as shown in the image. Please contact [email protected] prior to placing your order if you would like to specify one of these options! Thanks to this Ice Caddy 200 lb. ice transport cart and beverage merchandiser you can tackle two catering jobs with the same bin. The black Ice Caddy mobile ice bin / beverage merchandiser can hold up to 200 lb. of ice, (352) 12 oz. cans, or (235) 12 oz. bottles, making it a must-have addition to any catering business. 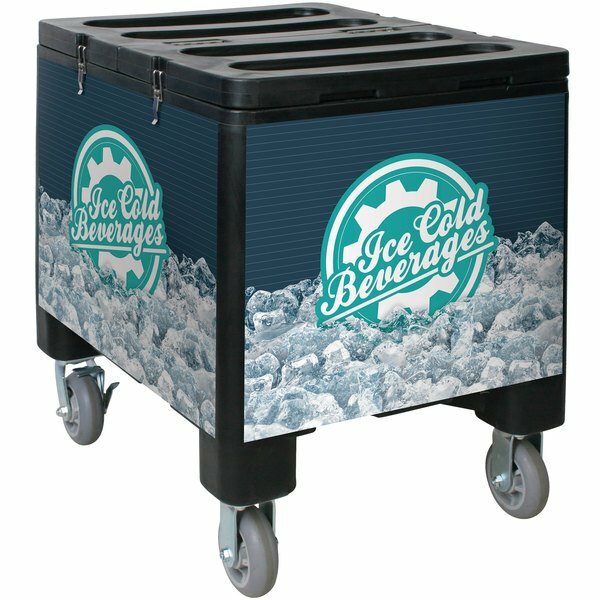 The insulated Ice Caddy mobile ice bin and beverage merchandiser is made of durable rotational molded plastic to handle the abuse of outdoor events. Its built in handles and over-sized casters allow for easy maneuverability over rough terrains.